Wonderfully soft yarn! 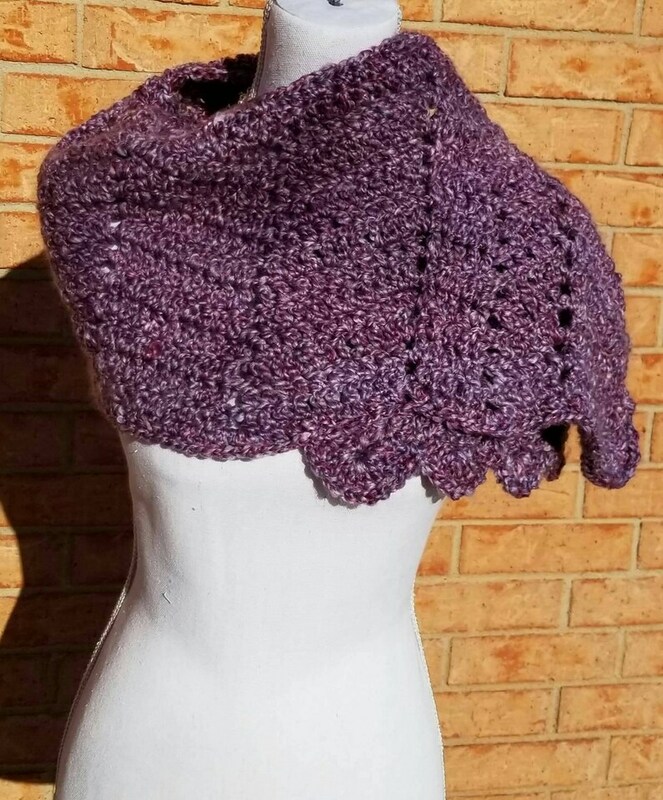 Beautiful Chevron design in this so soft wrap or shawl. This would look wonderful with a lovely brooch attached or scarf pin . It is approximately 11 by 46 in. Hand-crocheted out of acrylic yarn. Machine wash and dry on delicate or hand wash. Necklace NOT included.